Sylvia works primarily in oils, watercolours, and acrylics. Her subjects are landscapes, cityscapes, florals and abstracts. Sylvia captures the energy of her subject through light and colour. 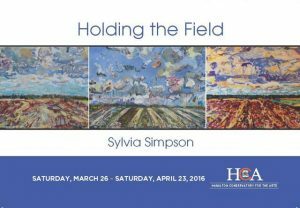 In 2014, Sylvia switched her subjects to the fields of Haldimand Country, Bruce County, and Manitoulin Island.